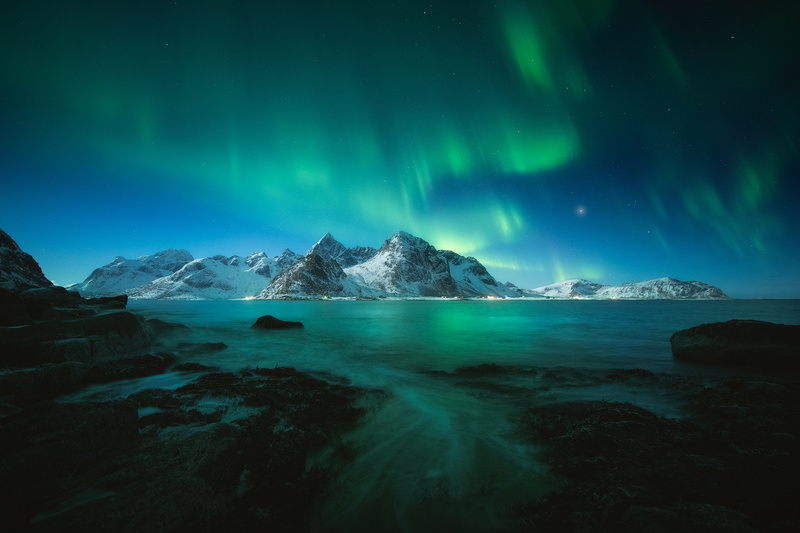 The northern lights sweep the night sky above a snow covered Lofoten. Honestly man your images really are the benchmark to aspire to, awesome. what a magical moment. perfect pp as well ! all thumbs up tor-ivar!